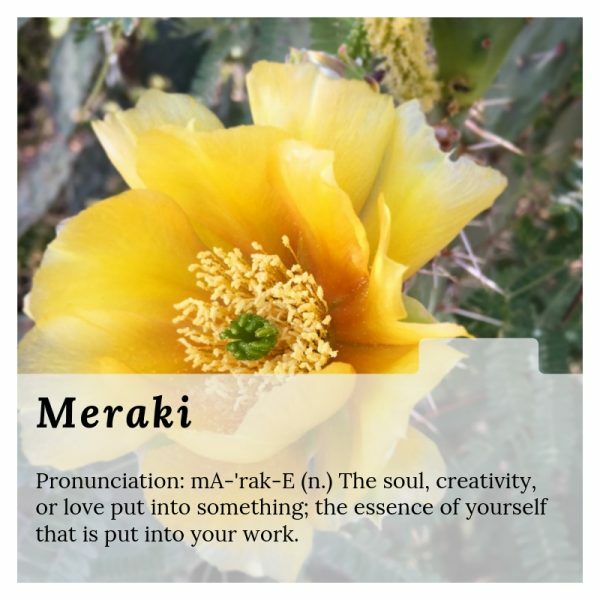 meraki [may-rah-kee] Meraki is a Greek word that describes doing something with love, creativity and pure soul. It means leaving a little piece of yourself in your creative work, whatever your work may be. I think I first came across it on Pinterest. What a perfect term for the creative artist! Meraki can describe many creative acts, from drawing or painting to arranging flowers. I often feel I’ve left a part of myself in my students when I teach. 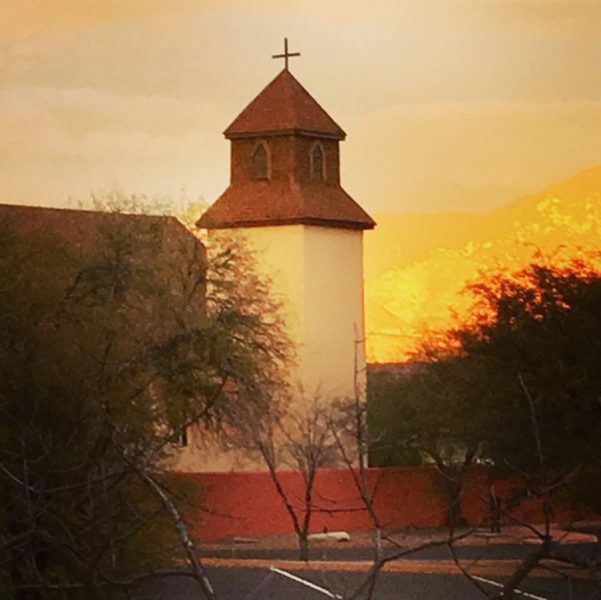 I’ve just returned from Tubac, Arizona. It was a wonderful trip because the place really allowed students (and teacher) to relax and immerse ourselves in creativity. 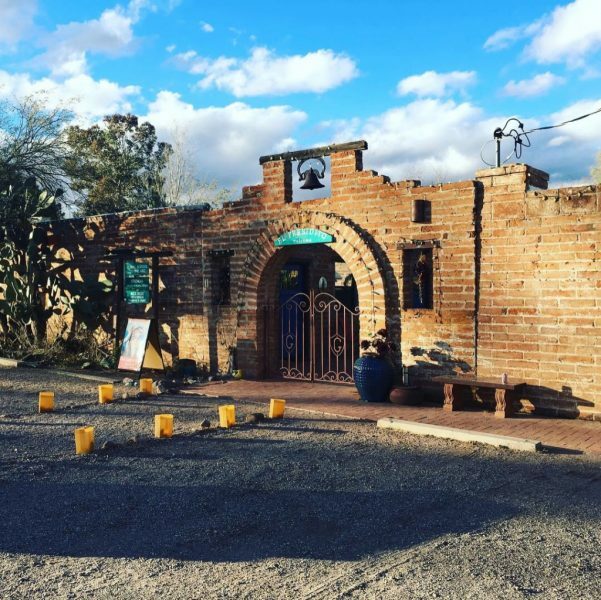 Tubac is the sort of place where one can walk to most things. You feel like you’ve stepped back in time. It’s a place where you walk down the street and folks wave to you whether they know you or not. 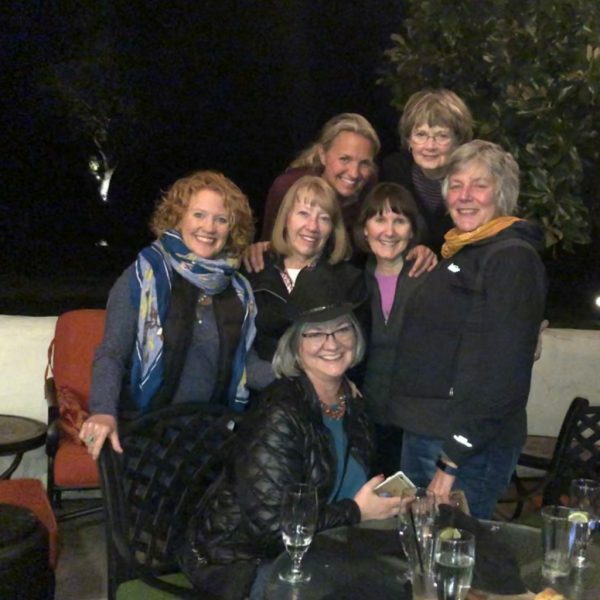 For our workshop participants, that meant lots of time relaxing in the evenings together. We ate great food and shared stories, wisdom and doubts. We left feeling so close. 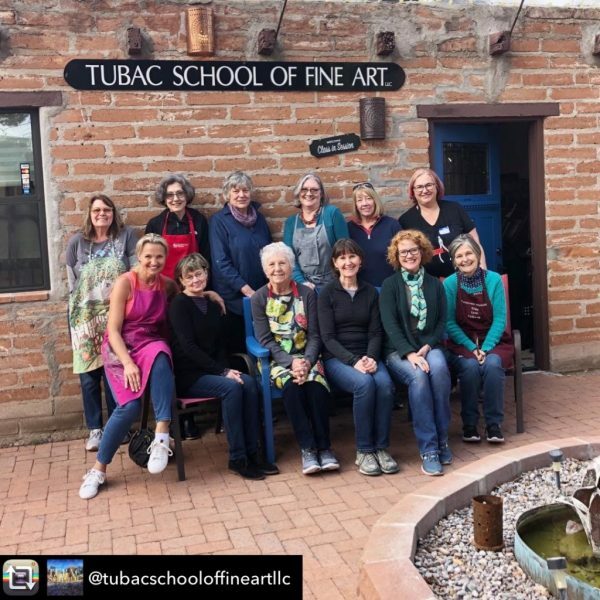 Thank you to Leslie at Tubac School of Fine Arts for bringing us together! One of the things we focused on in class was creating with meraki. Although we didn’t call it that, per se. Choosing a personal subject and honing in on ideas that mean something to us is a big part of creativity. I love it when students can honestly answer WHY they are painting a subject. If you like words as I do, you’ll find other Art Term posts here: Nefilibata, Pareidolia, Ungapatchka. Watch this space for future posts! And if you’d like to find a workshop with me… I’ve listed a few new ones on my Workshops page. 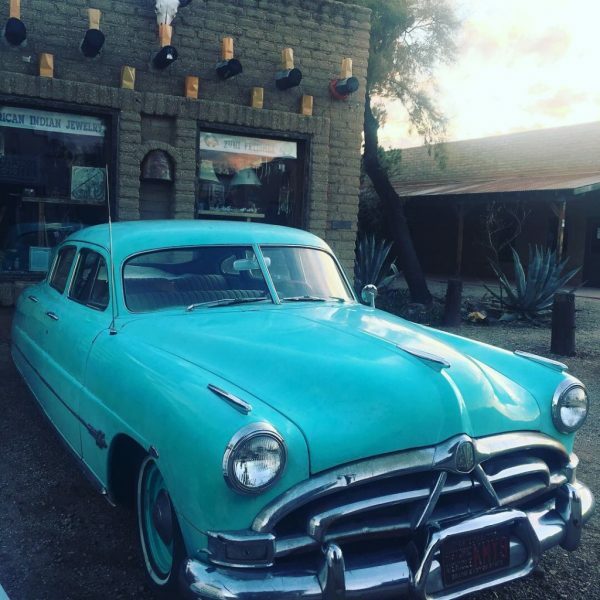 I liked Tubac, too. I’m going to keep an eye on workshops there. Glad your workshop went well. And I LOVE the new word. Good name for a pet someday, too.